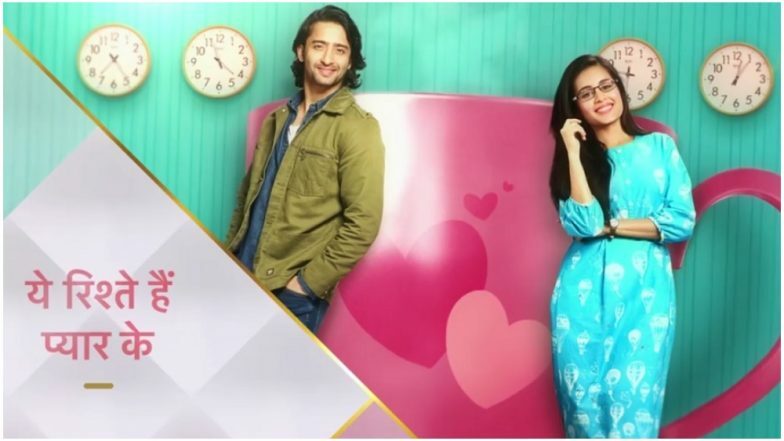 Today’s episode of Yeh Rishtey Hain Pyaar Ke starts with Kunal telling Abir (Shaheer Sheikh) that he can still try for a flight to London. Abir tells him that anything can happen anytime, Kunal asks what he means, Abir says that they met Mishti (Rhea Sharma)in Kutch and then here in Gujrat. Kunal agrees and says he will not go anywhere, Abir is happy hearing this. There Meenakshi is trying to find where is Kunal. Abir calls dadaji and tells that he is not doing anything and tells what all happened there and that Kunal cancels the London trip. Abir switches off the phone as Meenakshi will not able to call him. There Kuhu is upset and crying, Rajshree and all come there. Kuhu tells that she is fine and that she does not want to marry Kunal and she is ok with what is happening and goes from there. Rajshree says we will get Mishti married and not worry about Naman. Rajshree tells that we should go to the Rajvansh’s and talk about it and makes them all understand that there is some connection with them. Mishti hears them talk and thinks why is no one asking about her decision, not even Rajshree. There Abir and Kunal go for paragliding, Kunal says he does not want to do it and goes to video call Meenakshi. Mishti is tensed and comes out of the house and thinks what will she do now and how she will tell them that she does not want to marry Kunal. Abir sees Mishti there and wonders if he is dreaming about her. The instructor tells Abir that he has to have a partner for sky diving. Abir goes near Mishti and asks how come she is here, Mishti says she came here to get some space, as she wanted to relax. Abir tells her to come with her, she says she does not want to do it, but Abir convinces her to come with him for paragliding. As both sit in the seat to do paragliding, Abir tells her not to worry and be confident. As they go up, Abir enjoys but Mishti is scared. Abir tells her to open their eyes and see down. Mishti opens the eyes and enjoys the scenery. Mishti is happy when they come down and hugs Abir as she has never experienced this kind of fun (Dhire dhire seh mere zindagi mein aana track is played in the background). Abir tells her to try everything and give a chance to life. In the precap, Mishti is confused as what she should do and ask Rajshree if the boy is not good then what they will do, there Abir comes to know that Meenakshi had planned all this as she did not want Kunal to get married.